Correct wire gauge is of utmost importance. 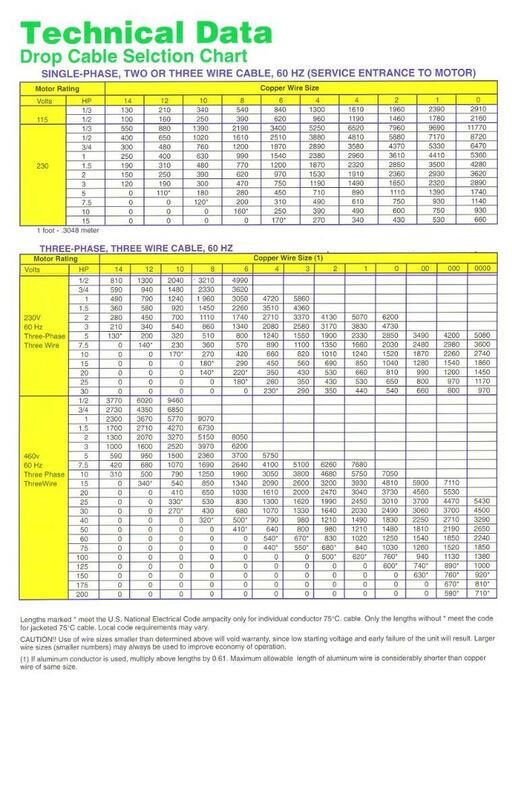 Use the chart above to determine the correct gauge wire for your application. Choose correct voltage and phase, & horsepower. Take note of which gauge wire falls within your footage limits. Remember, the guage of wire must be considered all the way from the electric meter or power source, through the disconnect or breaker box to the pump at the bottom of the well. Call us for help if you are not sure of your selection. CLICK TO ENLARGE (click pic again to magnify).